Reader to Reader: Other than money, what would motivate you to work harder at your current salon? Other than money, what would motivate you to work harder at your current salon? Health insurance would be a plus! But I love my job either way. Right now, nothing. I have a wonderful salon owner/boss who is willing to work with me when I need it. She looks at me as an equal, never criticizes me (especially in front of clients, and I’ve been there before), and we help each other out in any way we can (like taking care of clients when either one is sick, holding down the fort when the other is not there, etc.). I would say employees coming together for some pampering time just as appreciation for their hard work because with the way the economy is, it may be hard to get more benefits or money. Sizzor Trix Salon & Eyebrow Threading, Alsip, Ill.
Other than money, my motivation is my clientele, the bond I’ve made with them and the feeling I get when they leave with smiles on their faces. I have clients who are cancer survivors, and I’ve walked with them through it all. There is nothing that can compare to the feeling of knowing that you have not only done someone’s nails, but you have also made a difference in their lives. 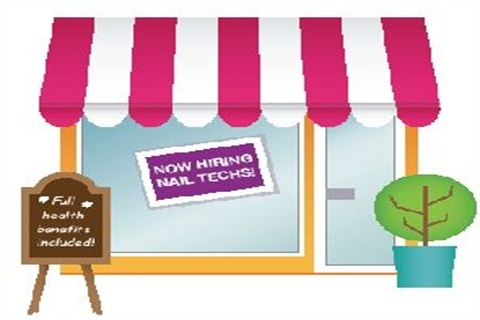 There are nail salons on almost every corner — that’s what motivates me to work hard every day! I show my clients they are valued and special. You have to in this competitive industry. Aqua Essentials Day Spa & Salon, Madera, Calif. I already work six days a week, but my motivation is always to keep my clients happy. I like to be available for them. I know what it’s like trying to book an appointment for a service and not getting one simply because that beauty professional works three days a week. I feel like I would be more dedicated if I had more training available at a lower cost. Since I’m from Montana it sure costs quite a bit to get to any class. Bliss Hair Body & Boutique, Anaconda, Mont. Other than money, I’m motivated to work harder because I want to gain a customer’s trust. I like to give her what she’s asking and looking for, have her come back as a future loyal client, and for her to be satisfied and happy that she’s walked into a salon that’s willing to take care of all her nail needs and not rush her out the door. Should I advertise in the Yellow Pages? Reader to Reader: If you could open a salon anywhere in the world, where would you open it?